With our experience and dedication you are in good hands. The directors at Fluent Mortgages have the combined experience of over 70 years in finance. They are very proud of Fluent Mortgages and believe the success of the business is firmly based on the expertise, knowledge and quality of its employees along with the excellent advice and service they provide to each and every customer. Attention to detail and hard work keeps Fluent at the forefront of the mortgage industry. 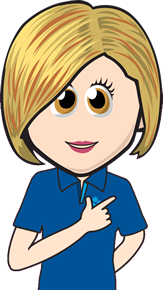 For a free, no hassle and no cost mortgage quote, tell us how much you want to borrow and over how long and we’ll do the rest!